For the month of October, PlanetHoster offers you an incredible promotion for the new domain extension .TOP. Universally, the term TOP is recognized by all no matter the language of origin of the individual and that, even at the global scale. By this fact, the extension .TOP is ideal for a website putting forward all which is of quality and which distinguishes itself. As of today’s date, more than 2,8 million domains are registered with the .TOP extension, making the new gTLD extension the most purchased in the world. Indeed, the new extension is so popular that several multinationals such as Amazon, Apple, Chanel, and Google. All have their brands registred with a domain .TOP. Take a small moment to imagine all the possibilities that a web site with a .TOP domain extension can offer you with an investment as little as 0,82€ or 1.35$ CAD. 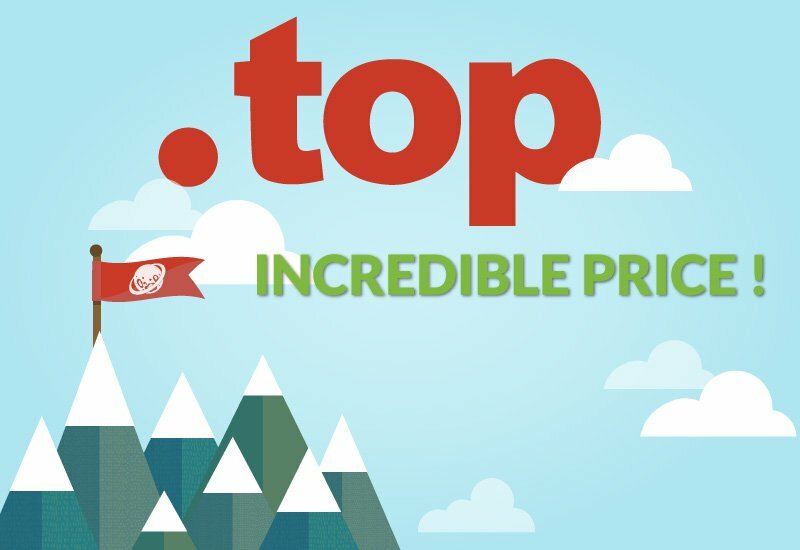 .TOP is the new gTLD extension the most purchased in the world. Enjoy worldwide popularity to get a good SEO. There are more than 10 billion search results with the term “Top” in Google. As a new extension, enjoy a greater presence of keywords than traditional extensions. In addition to being original, .TOP extension indicates a guarantee of trust and quality. The term TOP being short and universal, it is simple to understand and very easy to be retained.